Today I am revisiting the Alice Top/Dress by Tessuti. I previously demonstrated how to alter the pattern to accommodate a fuller bust. 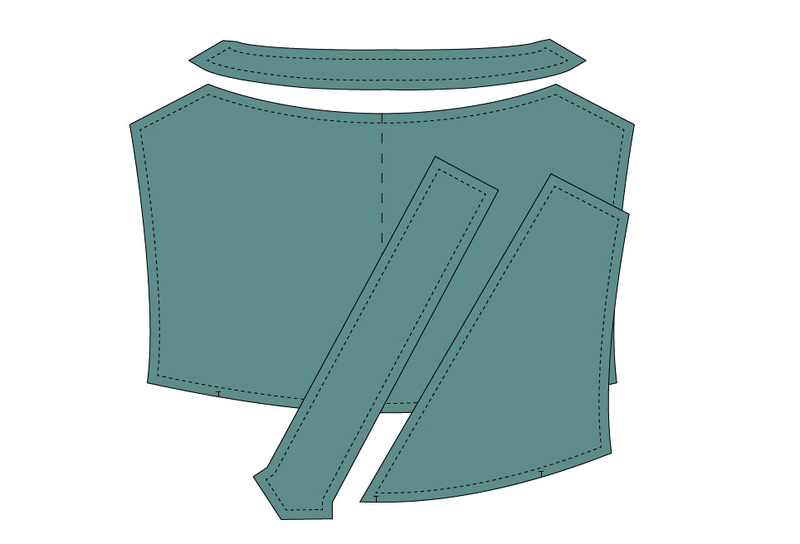 Begin by tracing the front and back bodices and drawing the seam allowance in. 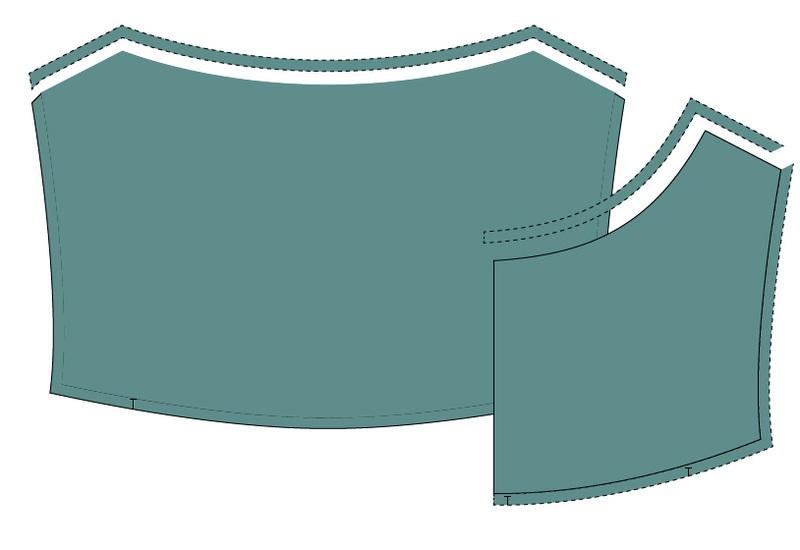 The alteration must take place on the true seam lines, so remove the seam allowance in the areas to be altered. 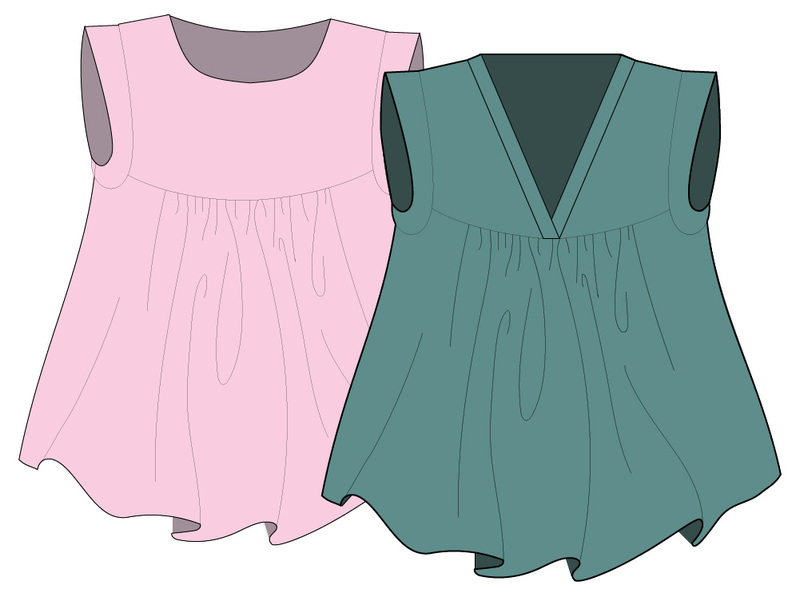 The back pattern piece will remain the same as before, but you will be using the tracing to create the new neckband facing. Draw a new front yoke neckline, that extends in a straight line, from the neck shoulder seam to a point 1cm in from the centre front at the bottom of the yoke. 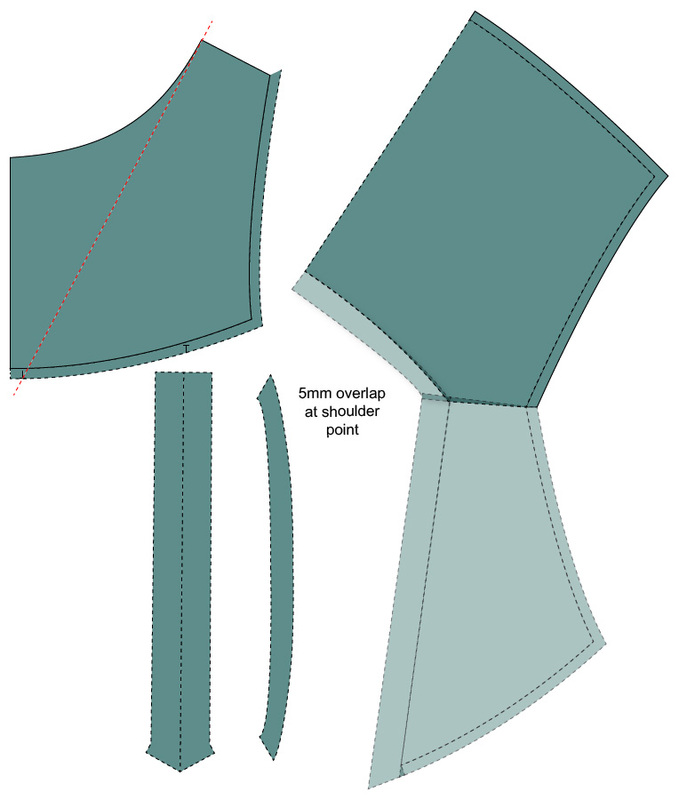 Match the shoulders of the front and back pattern pieces. Overlap the neck shoulder point by 5mm. Draw a yoke band that is 2cm deep, parallel to the new front neckline, curving around the back of the neck, to the centre back. 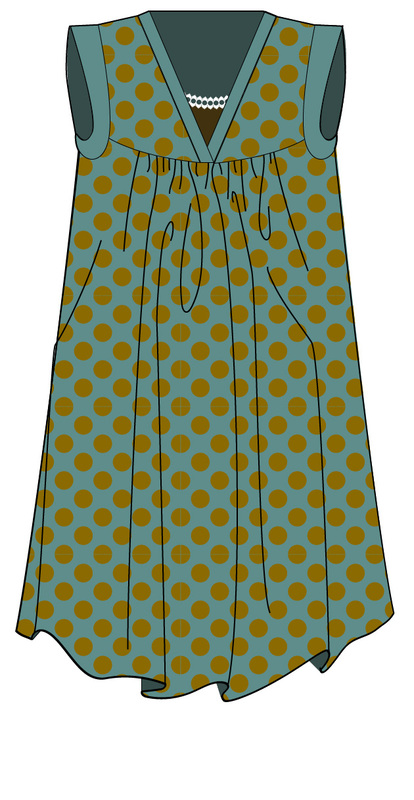 Trace around the front, with the new neckline marked in. Trace around the front neckband facing. The facing band can be self facing – fold it on the outside edge and trace through to the other side of the paper so that it is double width. Add the seam allowance back to all pieces and mark all the notches. 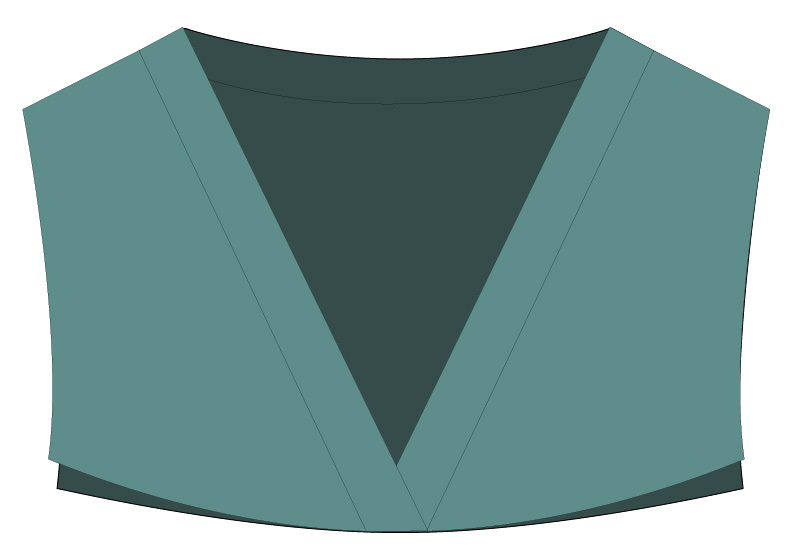 The neckbands with overlap at centre front. I’m working on sewing up a version of this. I will take some photos of the order of sewing for the neckbands and add those in when I’m done. Interesting hack Juju, I really like the idea of that! Juju, this is really fun! Look forward to seeing how the (Juju) Alice Top turns out.